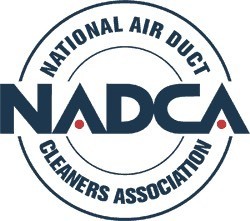 When you are looking for quality air duct cleaning company services in River Falls, WI and the surrounding areas, look no further than Hepa Cleaning Services. We are your premier expert in all manner of air duct cleaning and can provide the finest assistance in areas such as carpet cleaning, tile cleaning, upholstery cleaning, and more general cleaning services. Just let us know what you need and our professionals will do the rest! Whatever the nature of your issues may be, we will provide a solution appropriate to you, your schedule and your budget. Let Hepa Cleaning Services be your go-to cleaning company in River Falls, WI and the surrounding areas! You can rest assured that Hepa Cleaning Services will provide you with the outstanding customer service that you deserve with the highest level of dedication towards a job well completed. Our professionals have the utmost dedication to expediency, thoroughness and superior quality, which you will be able to see in the results. To take advantage of our air duct services, please contact us at Hepa Cleaning Services today! Copyright © 2019 Hepa Cleaning Services. All Rights Reserved.